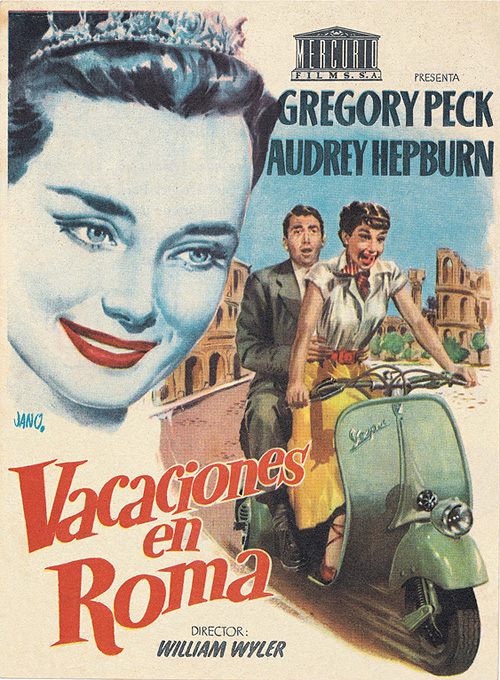 This Week's Rare Bit O'Swag: A Spanish "Roman Holiday" Lobby Flyer! It’s pretty easy to find a reproduction copy of the Roman Holiday poster but this image intrigued me more because it has Audrey riding the scooter instead of Mr. Peck. It’s tiny – only measuring about 4″ wide and 5.5″ tall. This entry was posted in Advertising, Art by Tracy. Bookmark the permalink.